Explore the relationship between power and identity and how it influences interactions, systems and institutions. Receive tangible tools and tailored solutions that your organization can implement immediately to increase diversity and equity practices. Hodari leading a Cultural Mindfulness workshop in San Francisco for a group of 40 educators. Candice Facilitating a Design Institute in Asilomar, California. Are you designing a new program or system? Do you need to redesign an existing program to improve its efficacy? Need to evaluate or assess your current performance? This institute will take you step by step through a simple, yet thorough framework for program design or redesign. You will discover solutions for challenges and see your outcomes improve. 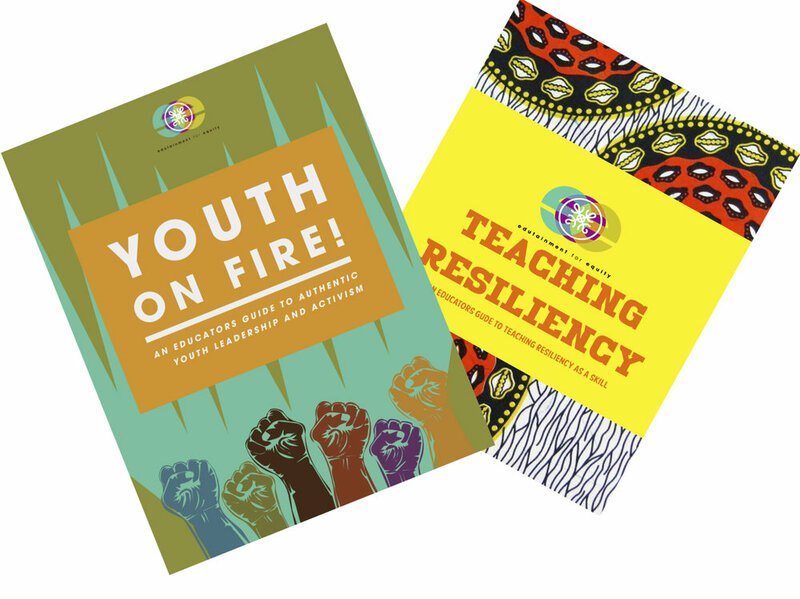 E4E produces curriculum for youth development professionals and teachers to instill leadership and build skills. Struggling to support your team in achieving the desired outcomes? Spread thin trying to find the time to support a large team of staff with a variety of needs? E4E offers extensive tools and in depth workshops on staff supervision and development. Improve your outcomes and give your staff the tools that they need to grow into thinking partners. Through our methods, your staff will become more invested in the work and require less and less support over time. 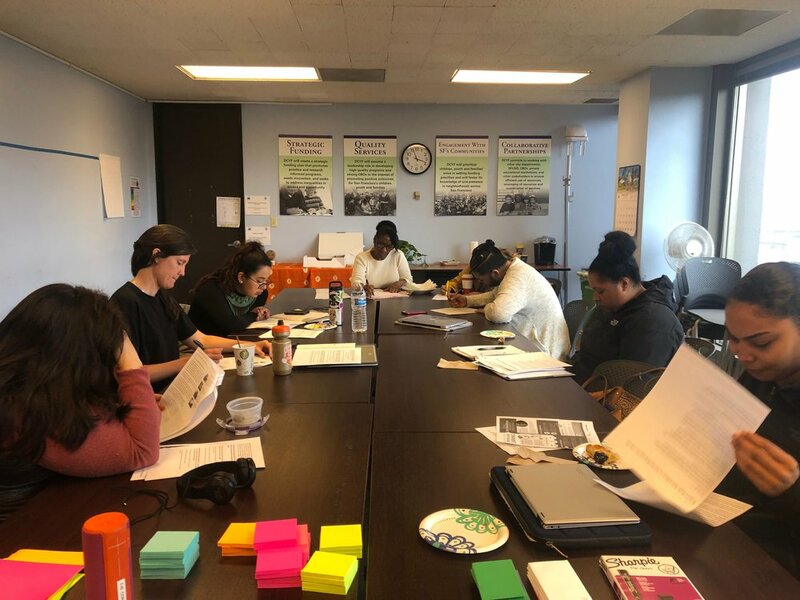 Hodari facilitating a training about supporting and developing staff, San Francisco. Planning for the future of your Organization or Project? Visioning for the future and exploring strategic possibilities? E4E offers extensive workshops and strategic visioning sessions for organizations and individuals. Our unique approach incorporates social justice and foresight training to improve your strategies and make them appropriate for the future you are planning for. Consistent with all of our training, we provide tools for you and your staff to grow as thinking partners. Through our methods, your staff will become more invested in the work and in the future of their work..